American 4-door sedans don't get much more rambunctiously pulse-quickening than the 2016 Dodge Charger. 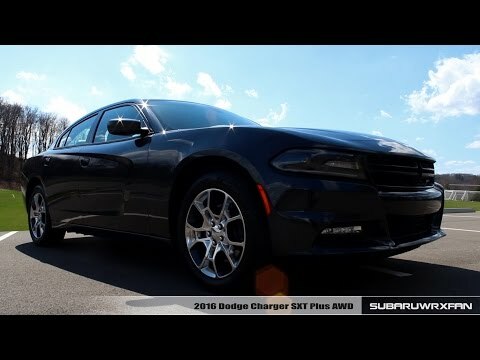 With over a half-dozen trim choices, four engines ranging in output from 292 horsepower to a truly incredible 707, handling and technology to match, distinctive styling and lots of options, the 2016 Charger is a bold motoring statement in a wide variety of flavors. My charger SRT is an awesome American muscle car, but is still not perfect. My 2016 Dodge Charger SRT is an amazing car. It gets a lot of looks and compliments. It has a beautiful muscle car sound along with the looks and speed of one while also having many creature comforts and technology as a luxury vehicle. It does have some small things though that are slightly irritating. The latch for the hood of my charger has corroded around it which creates the possibility of breaking off. From forums other sources this seems to be a common defect with 2016-2018 chargers. The U-connect is also a pain because it can freeze if you try to use certain apps like navigation and phone. Also one of my speaker boxes in the front has come loose which rattles when hitting small bumps in road and from the music. Although it is an amazing car the build quality could be better. Dodge 2016 charger. White. Remote start. Reliable car. Had this car for about a year. No serious problems other than the air pressure reader for the tires are inaccurate. Performance is good. Its reliable although we haven't been through any serious weather conditions such as snow or rain. It comfortably seats 5 people. The back seat has a lot of room. We use the car and give a lot of people rides and they are comfortable so that is good. My favorite feature is the remote start its good year round. Mostly in the summer because it starts the air conditioning. I haven't figured out how to auto start the seat warmers for the winter yet though. The performance and comfort as amazing. It's a 392 hemi so it goes quick and the seats are comfortable as anything. Has all of the creature comforts you'd need, heated cooled seats, heated steering wheel, big display, back up camera, front collision warning, blind spot etc. It's an amazing car and makes me love dodge even more. Only negative is the gas mileage. But anyone who chooses to buy a car like this and complain about their gas mileage should promptly trade their car in for a prius and allow someone else to drive it who will truly appreciate it..
Chrysler (FCA US LLC) is recalling certain Mopar Stage 1 Kit Performance Packages Powertrain Control Modules (PCM) Part Numbers P5160023, P5160025, and Demon Crate PCM Part Number 68412287AA. The PCMs are being recalled to address a defect that could prevent the cruise control system from disengaging. If, when using cruise control, there is a short circuit within the vehicle's wiring, the driver may not be able to shut off the cruise control either by depressing the brake pedal or manually turning the system off once it has been engaged, resulting in either the vehicle maintaining its current speed or possibly accelerating. Chrysler will notify owners, and dealers will either perform a software update or replace the PCM, free of charge. The recall began July 26 , 2018. Owners may contact Chrysler customer service at 1-800-853-1403. Chrysler's number for this recall is U82, and U83. FCA US LLC (Chrysler) is recalling certain model year 2011-2016 Dodge Charger vehicles manufactured August 23, 2010, to January 7, 2016. When an affected vehicle is lifted using the supplied tire jack without chocking the wheels, the vehicle's body-side sill may give causing the tire jack to fail and the car to fall. A car that falls unexpectedly increases the risk of injury. Chrysler will notify owners, and dealers will provide owners with wheel chocks and instructions for their use, free of charge. The recall began on March 21, 2016. Owners may contact Chrysler customer service at 1-800-853-1403. Chrysler's number for this recall is S03. Chrysler will notify owners, and dealers will replace all eight front driveshaft bolts, free of charge. The recall began April 7, 2017. Owners may contact Chrysler customer service at 1-800-853-1403. Chrysler's number for this recall is T03. Chrysler (FCA US LLC) is recalling certain 2015-2018 Dodge Charger pursuit police vehicles equipped with all-wheel drive and V8 engines. The front driveshaft universal joint may seize or fracture causing the shaft to detach from the vehicle. If the front driveshaft detaches from the vehicle it may become a road hazard, increasing the risk of a crash. Chrysler will notify owners, and dealers will replace the front driveshaft, free of charge. The recall began June 27, 2018. Owners may contact Chrysler customer service at 1-800-853-1403. Chrysler's number for this recall is U37.